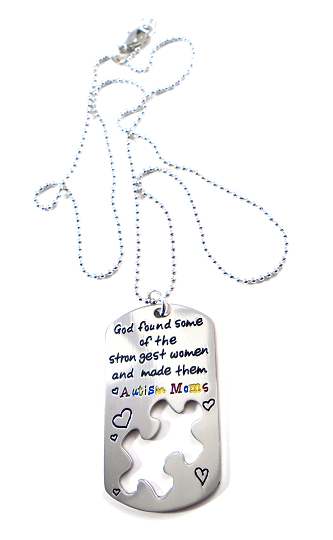 Beautiful Autism Awareness Necklace ! 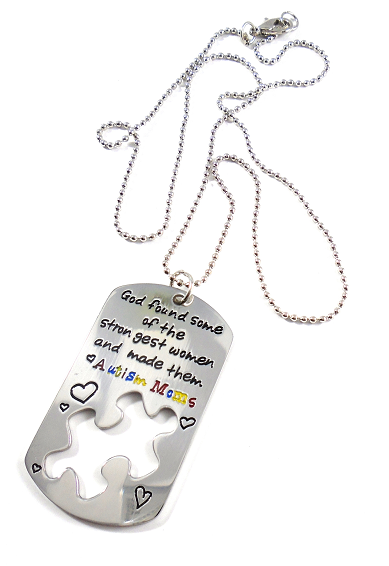 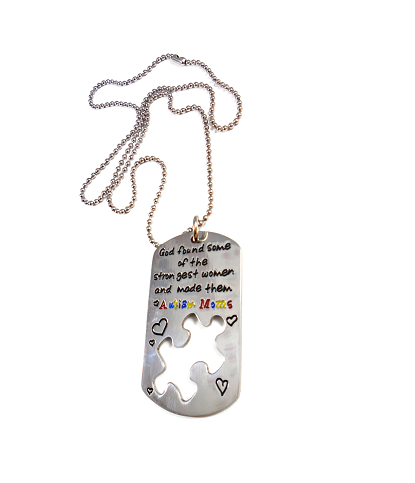 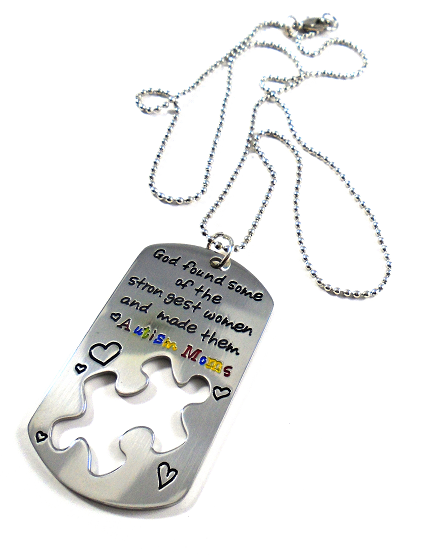 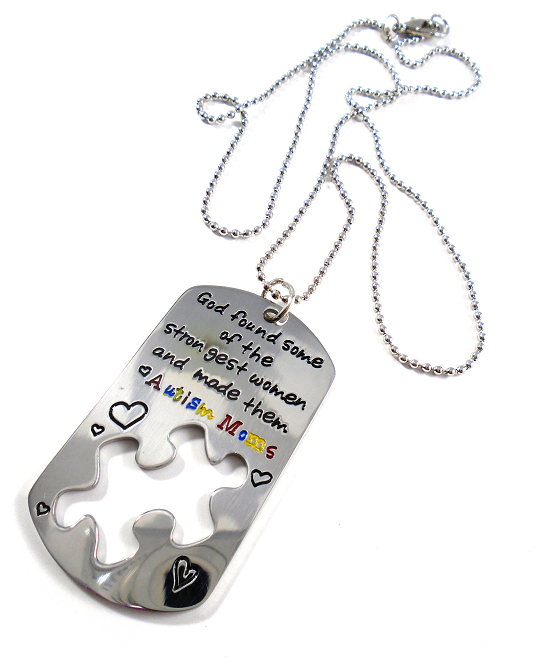 'Dog Tag' style displays "God Found Some of The Strongest Women and Made Them Autism Moms" on a 20" ball chain Necklace! 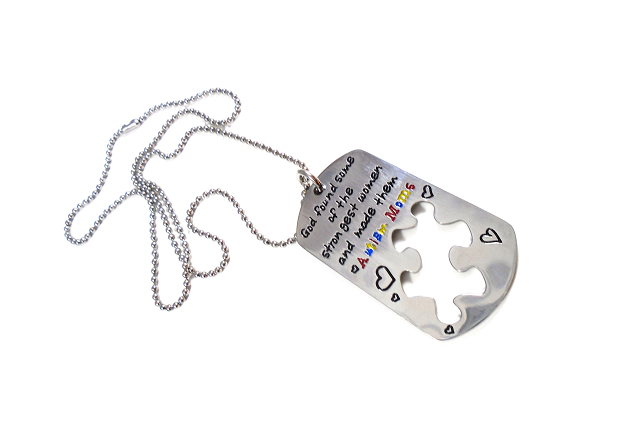 Dog Tag Charm: 1 3/8" x 6/8"